Over the course of the last few decades, the cocktail world has undergone something of a renaissance. 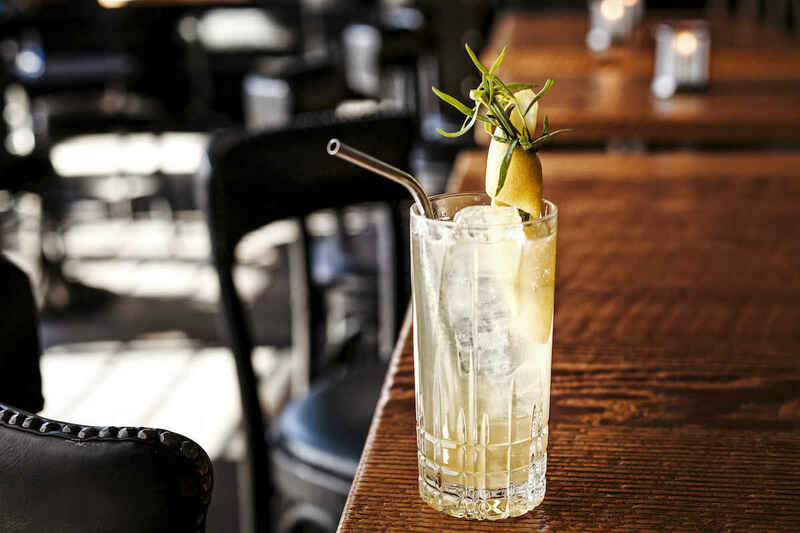 Thanks to pioneering bartenders and academics like Dale DeGroff, David Wondrich, and hundreds of others from around the globe, we’re living in a golden age of great drinks—and the best part is, you can make damn near all of them at home. When we created our Bartending 101 series, we wanted to offer a resource that could get you and your home bar up to scratch with the best professionals in the world. But before you can do that, you need to know the basics. 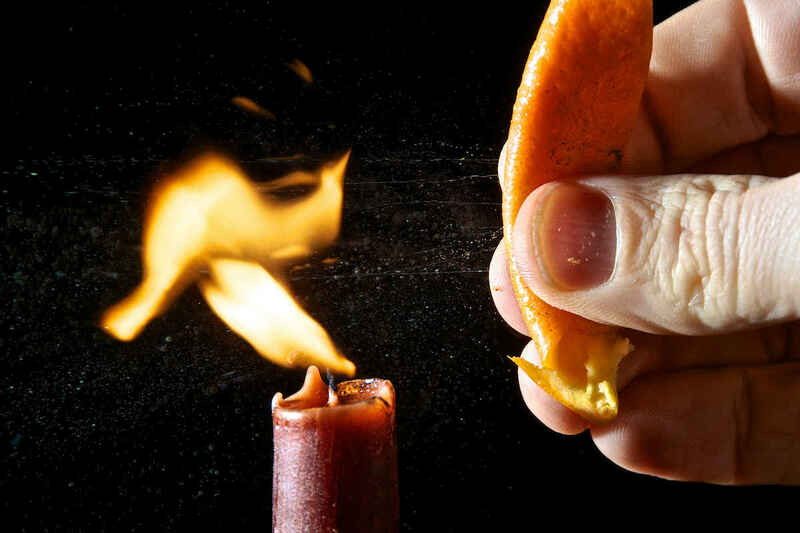 Most bartending guides jump right into the jargon without a primer, which can be frustrating. We think everyone should learn how to make a proper cocktail, so if you don’t know your jiggers from your shakers, can’t tell the difference between “up” and “neat,” or think everything served in a cocktail glass is a Martini, this guide has got you covered. It’s probably good to start by knowing what, exactly, you’re going to be making with your newfound bartending knowledge. Thanks to the long, storied, and often poorly-recorded history of cocktails and spirits, it can be hard to pin down any consistent way of classifying them. Everyone has their preference, and we’ve had more than a few spirited arguments with our colleagues about how best to draw the family tree of booze. Luckily, though, there are some basic serving styles that are a pretty convenient way to keep your cocktails straight. A classic Daiquiri, served up. One of the most common ways to serve a cocktail is “up.” This means that the drink is chilled by stirring (in a mixing glass) or shaking (in a cocktail shaker) with ice, then poured into a stemmed cocktail glass without ice. Cocktails are served up when you want to limit the amount they’re diluted by melting ice, and holding the glass by the stem stops your hand from warming it up too fast as you drink. Classic examples are the Martini, Manhattan, and Daiquiri, among countless others. Drinks served up are either shaken or stirred. 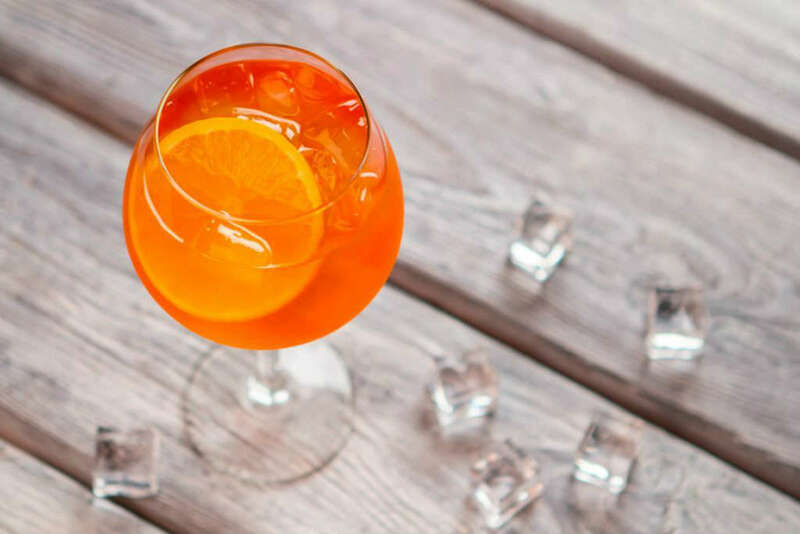 As a general rule, they’re shaken when one or more of the ingredients is non-alcoholic—like citrus juice or egg white—and they’re stirred when all of the ingredients contain alcohol. For more detail on why that’s the case, check out Cocktail Shakers 101. An Old-Fashioned variation served on the rocks. This one might be a little more familiar. A cocktail is considered “on the rocks” when it’s served with ice, and that’s about all there is to it. Classic examples are the Old-Fashioned, Highball, Moscow Mule, and Gin and Tonic. While the basic concept of on-the-rocks drinks is pretty straightforward, there are a lot of other ways to serve a cocktail with ice. The Mint Julep, for example, is made with crushed ice, which can be crushed by hand or simply taken from an ice machine. Then there are frozen and blended drinks, like the Frozen Margarita or Piña Colada. They can be made with crushed ice like the Mint Julep, but they’re typically made in a blender like a smoothie. Finally, there are some cocktails, like the Negroni, that can either be served up or on the rocks depending on preference. Next, it’s helpful to know what’s actually going into your cocktails. Pretty much all of them are going to include at least two of the following: a distilled spirit or liqueur, a fortified wine like vermouth or sherry, bitters, some kind of juice or soda, or a syrup. If you want a quick-start guide on the cheap, we put together a shopping list that’ll stock your bar for just $100. An array of spirits from California craft distiller Venus Spirits. First, grains, fruit juices, or other sugary foods are fermented with yeast to produce alcohol in the form of beer (grain) or wine (fruit). Then, that beer or wine is distilled—a process that involves heating up the liquid to separate the alcohol from the water, since alcohol evaporates at a lower temperature—and concentrated into a much stronger “spirit,” usually somewhere around 40% ABV. Sometimes, that spirit then undergoes aging in a charred wooden barrel, for anywhere from a few months to several decades. That’s what gives whiskey, dark rum, aged tequila, and other aged spirits their distinctive colors and flavors. Jägermeister, a popular liqueur, being poured into shot glasses. Liqueurs are the sweeter cousins of spirits, made by adding sugar and flavorings like fruit, herbs, spices, and all kinds of other good stuff. Sometimes they’re lower in ABV, but their unifying characteristic is the addition of flavors after distillation. There are thousands of popular liqueurs, but some of the most well-known include Cointreau (an orange liqueur used in Margaritas and Cosmopolitans), Campari (a bittersweet Italian liqueur used in the Negroni), and Luxardo Maraschino (a cherry liqueur used in the Aviation and Hemingway Daiquiri). Vermouth gets a bad rap. Thanks to the fact that most people let it sit around on their back bar for way too long—it goes bad after a while, just like wine—it’s known as the gross stuff your grandpa used to drink. In reality, vermouth can be a really delicious cocktail ingredient, and you can even enjoy it by itself. Like sherry and port, vermouth is what’s known as a fortified wine. That means it’s a wine that’s mixed with a distilled spirit, and typically flavored with herbs and spices. It comes in several different styles (from many brands in many countries), but the most common are sweet and dry. Sweet vermouth appears in cocktails like the Manhattan, Negroni, and hundreds of other recipes, and usually comes in a dark red color. Dry vermouth is a staple of the classic Martini, as well as its countless variations, and is usually a pale gold color. For more detail on vermouth, check out Vermouth 101. An array of different bitters. Bitters are used sparingly in thousands of cocktail recipes to give the drink, well, a little bitterness. In general, bitters are super-concentrated infusions of herbs and roots in high-proof alcohol, which are then diluted a bit with water before bottling. While you technically can drink them on their own, we don’t recommend it. The most popular bitters in the world, by a long shot, are Angostura bitters. They’re used in everything from the Old-Fashioned to the Champagne Cocktail, and if you only buy one bottle, this is the one to get. There are also Peychaud’s bitters, made famous by the Sazerac, and many other flavored bitters that you can use to mix up variations on the classics. And if you’re feeling really adventurous, you can even make your own homemade bitters! Common citrus and a vegetable peeler, which can be used to cut garnishes. Also common in cocktails are non-alcoholic ingredients that cut down on strength, and can introduce all kinds of fresh flavors and interesting textures. These range from citrus juices like lime and lemon to simple club soda, but can include virtually anything. Drinks like the Moscow Mule use spicy ginger beer to impart a refreshing kick, while the White Russian features heavy cream for a silky, indulgent after-dinner sip. And, of course, citrus goes great with just about anything, rounding out the Sidecar, Daiquiri, Whiskey Sour, and many more classic and modern recipes. The ingredients for orgeat syrup, an almond syrup used in tiki cocktails. Then you have syrups, which (unsurprisingly) are used to impart a bit of sweetness and take the edge off of the other strong flavors in a cocktail. The most common is simple syrup, which is made by simply combining equal parts sugar and hot water, then stirring until the sugar is dissolved. There are also numerous flavored syrups that you can make or buy, with ingredients like ginger and fresh berries adding pops of color, aroma, and flavor. Take honey syrup, for example, which is used in the Prohibition-era Bee’s Knees cocktail. Most of the time, you don’t want to buy syrups at the store, as they’re way overpriced and extraordinarily easy to make at home. A bartender is nothing without their tools. That’s not to say you need to go blow hundreds of dollars on professional-grade gear right off the bat (or ever), but there are certain things you simply can’t do without the right equipment. What follow are the bare necessities that you need to get started. The cocktail shaker does just what the name tells you: it lets you shake a cocktail with ice to chill and dilute it. There are several different varieties of shakers you can get, but the simplest is the Boston shaker, which consists of two metal tins (or one tin and a pint glass) that fit together snugly. There aren’t a lot of ways to improvise a cocktail shaker, so if you only buy one thing, this is probably the one to get. For more info on what to buy and how to use it, check out Cocktail Shakers 101. The three styles of cocktail strainer, from left to right: julep, Hawthorne, and mesh. Strainers go hand-in-hand with shakers (and mixing glasses, which we’ll get to later). Basically, you place the strainer over the mouth of the shaker or mixing glass before pouring the drink into its serving glass. This separates the drink from the ice, as well as any other muddled ingredients like herbs and fruit. 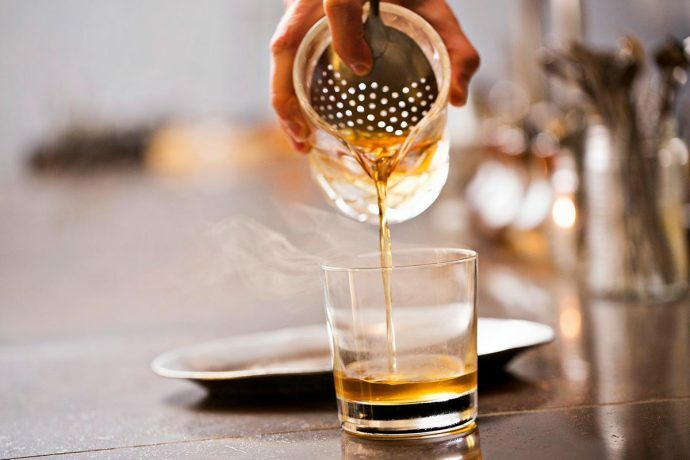 There are three main kinds of strainers: the Hawthorne strainer (primarily used with shaken cocktails), the julep strainer (primarily used with stirred cocktails), and mesh strainers (used in combination with a Hawthorne strainer to remove pulp and other small stuff like ice shards). For more on the different kinds of strainers, check out Cocktail Strainers 101. Proper stirring technique with a mixing glass and barspoon. The mixing glass is an essential tool for making stirred drinks, like the Martini and Manhattan. It’s usually a squat, parallel-sided glass with a thick base, but some people simply opt for a pint glass instead. To use a mixing glass, you’ll also need a barspoon. The barspoon differs from other spoons in a few important ways: the handle is very long and usually threaded, and the bowl (the business end of the spoon) is small and relatively flat. This leaves you plenty of handle sticking out of the top of the glass, allows it to rotate smoothly in your hand while stirring, and the small bowl fits nicely between the ice and the inside of the glass. For more on how to use a mixing glass and barspoon, check out Mixing Glasses 101 and Barspoons 101. Four jiggers of different styles and sizes. It may have a funny name, but the jigger is the last critical piece of the bartender’s arsenal. A jigger is nothing more than a small measuring cup, though the classic design is two cups of different volumes connected end-to-end in an hourglass shape. While they were sneered at for decades as tools of stingy managers (everyone wanted a little extra in their glass), jiggers are recognized as necessary in today’s cocktail industry. To make a truly balanced cocktail, every ingredient has to stand in perfect harmony with the others, and too little or too much of anything can throw all the flavors out of whack. As with all these other tools, jiggers come in many shapes and sizes, and every bartender has their preference. For more on how to use them and what to buy, check out Jiggers 101. Anyone can be a bartender. Whether you simply want to make better drinks at home or you’re looking for a career behind the stick, all it takes is a bit of gear, the right ingredients, and lots and lots of practice. Now that you’ve got the basics down, be sure to check out the rest of our Bartending 101 series. You’ll be a pro in no time!